Feather filled and attached to an intricately laser cut hand crafted butterfly tail. 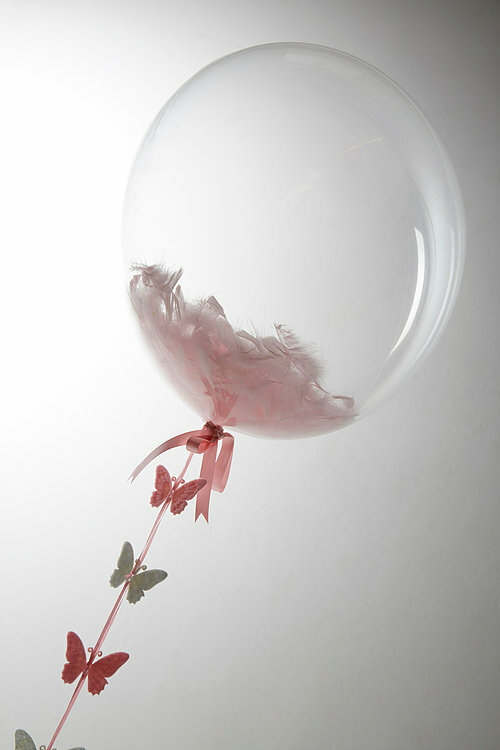 Our balloons are delicately assembled and anchored by a globe. 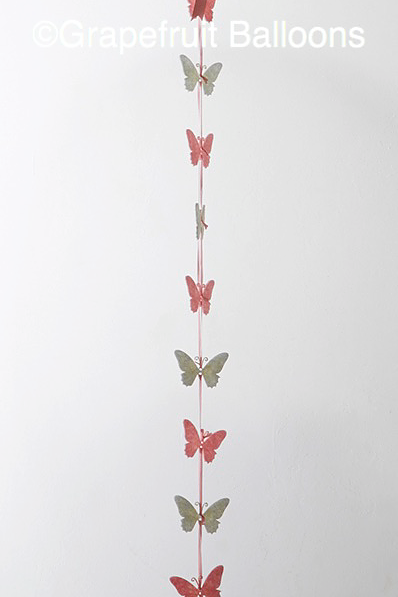 Our pink butterfly design are perfect for the arrival of new babies. Equally effective in showrooms or exhibitions. 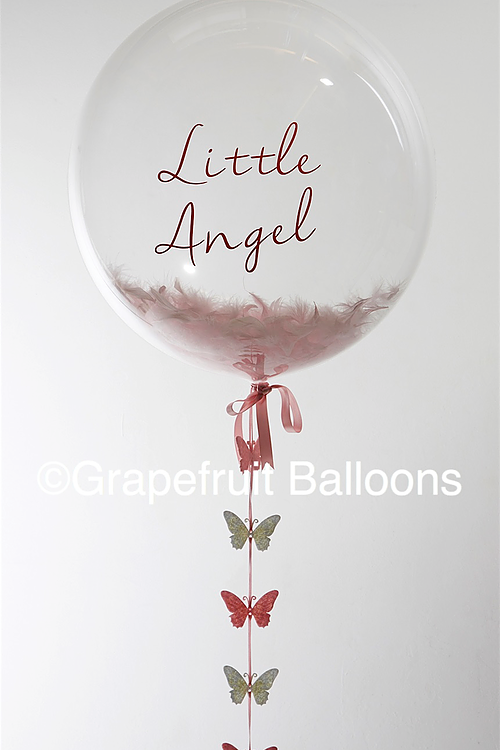 They are also very popular for Baby Showers. 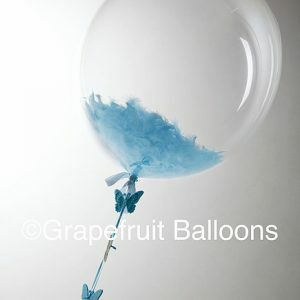 So if you are having a special event and looking for some luxury balloons then these really have the wow factor.